Leading Manufacturer of liquid level detection, oil volume flow rate measuring device using fischer de38, capacitance type liquid level transmitter, tank level sensor, tank level sensors for fire trucks and non-conductive liquid leak detection from Jaipur. 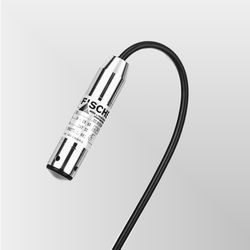 This measuring probe is designed around a highly sensitive pressure sensor with a silicon membrane-measuring element. A DMS resistance bridge is attached to the rear of this membrane using a thin-film method. 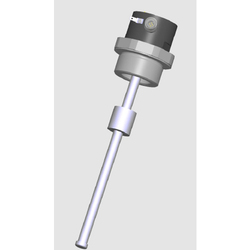 The well probe is equipped with an indirect hydraulic pressure sensor in order to guarantee the system-inherent dead space latitude. The pressure sensor is isolated by an elastic membrane from the medium to be measured. The volume between the membrane and the pressure sensor is filled completely with a transfer fluid. When pressure is applied this silicon membrane deforms in the elastic region, altering the resistance of the resistance bridge in a response linear to the measuring pressure. These changes in resistance are converted by electronics built into the device into standardized electrical signals. ALVI Automation Gas Alarm System india Offer Fischer DE38 01DYYB Differential Pressure Switch Transmitter is widely used in Cement Industries like in Hydraulics system, Oil level control system etc. 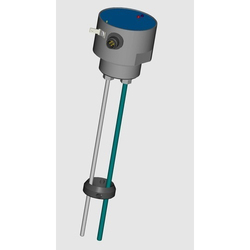 The NC56 Capacitive Level Sensor is installed vertically downward at the top of the vessel in which liquid level is to be measured. It is fitted into a G1¼-F threaded socket, located as close as possible to the center of the tank. The lower ends of the rods must be at least 10 mm above the tank bottom to avoid contact with any sludge that may be present. The electrode rods can be cut at site to a shorter length, if required, but must be of equal length. Tank Level Sensor NR56 is designed especially for fire engines. It serves asreliable level measurement in foam tanks. A fire engine or a fire truck is primarily used for firefighting operations. Prior to entering the fire affected area, the fire truck should always be prepared with sufficient water level, pump engine fuel and vehicle fuel. Hence monitoring and keeping a track of water as well as fuel level is of utmost importance. Alvi Technologies presents Tank level sensor NC56 along with digital level indicator EA14 that determines and indicates how much fuel or water is left in the tank; keeping the fire truck water and fuel ready for any emergency situation. The NC56 capacitive tank level sensor is installed vertically downward at the top of the vessel in which liquid level is to be measured. 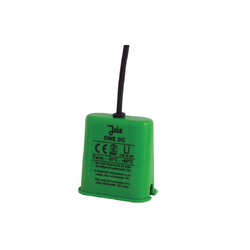 The sensor gives out a linear 4….20mA signal directly proportional to the level. Once the level is known, communicating and conveying the level information is the next critical step. This can be achieved by connecting tank level sensor to EA14 monitor. The EA14 converts and displays it into a volume (litres). Some places require monitoring of many vehicles at the same time. 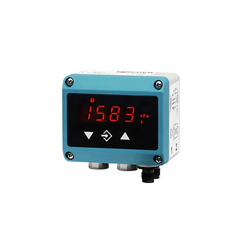 For such applications we can provide an indicator that can take up to four the tank level sensors simultaneously. Please e-mail us for further information. In addition to monitoring the liquid level in fire trucks, these tank level sensors can be adapted to various other applications. Please contact us for further information. Precise control of level measurement for fuel oil tank is crucial in many applications. In process plants fuel oil is delivered to the storage tanks and then is transferred to process or may be a smaller day tank. It is very important to know the fuel oil level either in the storage tank or in a day tank for day-to-day operations of the plants. The main aspect for level measurement for fuel oil tank is to keep track of inventory in terms of volume. Keeping good control over your inventory has become increasingly important over the last several years. Level measurement is one key component for reliable and accurate inventory control. Many processes require a steady supply of inputs . A storage tank between the supply and process acts as a buffer and maintains steady and consistent supply for the process. For a maximum process efficiency the tanks need to be filled to full capacity at all times. Level is also measured for safety reasons. Filling vessels above their capacities can cause safety spills (overflowing) in open tanks leading to catastrophic results.. Preventing overfills and to ensure the storage tank is is always maintained within an appropriate supply, level measurement for fuel oil tank is very important.